SBA is Open for Business! It feels like the New Year is just starting here at the District Office, but we are pleased to be back and pushing into a strong 2019. We’re not wasting any time to get all programs up and running! SBA loans are being approved and funded. The Office of Capital Access reported that, as of COB Monday, SBA had processed more than 1,100 through 7(a) loan guarantees for more than half a billion dollars. We had also processed 504 loans for more than $27M. More than $4B is available for loan guarantees. Not a bad start! Certify.SBA.Gov is up and running to accepting new 8(a) and HUBZone applications. A team of SBA business opportunity specialists continued to support small business contracting for funded agencies, such as the DoD and VA, reviewing 816 procurement requests from other agencies valued at $14.8B to continue to provide support and services to many veterans, military and other civilians during the furlough. Check www.sba.gov for workshops, programs and opportunities to market, network and learn about working with the federal government to improve your bottom line. See the listing in this bulletin about upcoming classes! Let’s make 2019 a spectacular year for small businesses in Hawaii! While We Were Out…the Wheels Keep On Turning!! The Hawaii District Office thanks our key resource partners throughout our Pacific service area for supporting the SBA mission to help small business owners, entrepreneurs and start-ups power their vision of a prosperous enterprise. Mahalo to the Hawaii Small Business Development Centers, the Mink Center for Business & Leadership, SCORE, Veteran’s Business Outreach Center of the Pacific, the Pacific Islands SBDC, the American Samoa SBDC and the many other programs in the community who offered information, tools, mentoring and consulting. 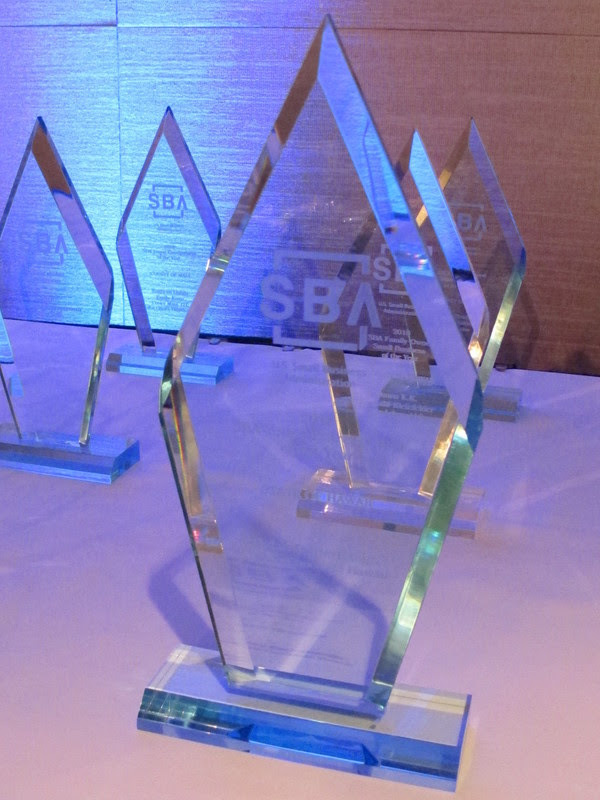 The nominations for the prestigious SBA Small Business Awards were due in December and preparations were initiated at the district office to screen and scrub the packages for eligibility and compliance with the guidelines. The panel of judges, which includes business leaders, small business owners, entrepreneurs and lenders from across the state who have been vetted by SBA, prepared for the task of reviewing and scoring the nominations. With the support again of resource partners, the selection process has continued and the scoring is underway! Winners may be announced as early as March! Save the Date for the Statewide Celebration on May 3! The HUBZone regulatory revision comment period has been extended to 2/14/19. The changes to this special certification for government contractors in underserved areas propose sweeping revisions that affect much of the HUBZone program. The proposed regulations can be read here: https://www.federalregister.gov/d/2018-28320. Instructions for commenting are in the notice. SBA Administrator Linda McMahon announced the winners of the 2018 “Boots to Business Instructor of the Year” awards. The awardees were recognized for their excellence in teaching the Boots to Business course, the entrepreneurial track of the Department of Defense’s Transition Assistance Program. Ten qualified and enthusiastic instructors from across the nation were selected for their dedication to providing quality training and consulting to transitioning veterans. Noela Napoleon, business consultant with the Patsy T. Mink Center for Business & Leadership, was among the top five runner-up winners. Since being launched in January 2013, the SBA’s Boots to Business program has served more than 86,000 transitioning service members, veterans, and military spouses. The program is administered as a collaborative effort between SBA and the Veterans Business Outreach Center of the Pacific, a partnership with SBA and UH Hilo. For more information about the program, visit https://hilo.hawaii.edu/vboc/. Applications – or inquiries – are available by contacting Deputy Director T. Mark Spain at the Hawaii District Office at (808) 541-2990 or thornton.spain@sba.gov. Launch My Business Start – February 2, 2019, Saturday, 9:00am-4:00pm, YWCA, 1040 Richards Street, Suite 105, Honolulu, HI. Tuition: $85. Register with the Patsy T. Mink Center for Business & Leadership (MCBL) at https://clients.mcbl-hawaii.org/workshop.aspx?ekey=1390002. Hawaii Food Manufacturers Association (HFMA) General Membership Meeting: Start-ups & Small Business Resources – February 5, 2019, Tuesday, 12:00pm-1:30pm, Foreign Trade Zone FTZ9, Homer A. Maxey International Trade Resource Center Conference Room, 521 Ala Moana Boulevard, Pier 2, Honolulu, HI 96813. Fee: $10 for non-members. To register, RSVP to hfma@foodsofhawaii.com. Hawaii Farm Bureau's 2019 Agriculture Awareness Day – February 6, 2019, Wednesday, 11:00am-1:00pm, State Capitol, 4th Floor, Honolulu, HI. To participate with an exhibit table, please register by e-mail to hfma@foodsofhawaii.com. SmallBiz Academy Luncheon Seminar: Tapping into the Tourist Market – February 6, 2019, Wednesday, 11:30am-1:30pm, YWCA, 1040 Richards Street, Fuller Hall, Honolulu, HI. Cost: $20 general admission, $15 group rate (3+) or $30 general admission including subscription to Hawaii Business Magazine. For more information or to register, go to www.hawaiibusiness.com/SBA020619. Wahine Forum Luncheon: Grit & Resilience – February 7, 2019, Thursday, 11:30am-1:00pm, YWCA, 1040 Richards Street, Fuller Hall, Honolulu, HI. Cost: $25. Register with the Patsy T. Mink Center for Business & Leadership (MCBL) at https://www.mcblhawaii.org/wfn. Government Contracting 101 – February 13, 2019, Wednesday, 12:00pm-1:30pm, Maui County Business Resource Center, Maui Mall. To register, call (808) 270-5770. Launch My Business Grow – February 13, 2019, Wednesday, 5:30pm-8:00pm, YWCA, 1040 Richards Street, Suite 105, Honolulu, HI. Tuition: $800 for 7 weeks, twice a week. For more information or to register with the Patsy T. Mink Center for Business & Leadership (MCBL), go to https://www.mcblhawaii.org/lmb/. Opportunity Zones and Healthy Communities: Maui – February 20, 2019, Wednesday, 8:00am-12:30pm, Maui Arts & Cultural Center, McCoy Theater, 1 Cameron Way, Kahului, HI 96732. For more information and to register, go to: Opportunity Zones. Government Contracting: Marketing Yourself to the Government and Prime Contractors – February 21, 2019, Thursday, 12:00pm-1:30pm, Maui County Business Resource Center, Maui Mall. To register, call (808) 270-5770. The ABC’s of a Business Plan – February 27, 2019, Wednesday, 12:00pm-1:00pm, Maui County Business Resource Center, Maui Mall. To register, call (808) 270-5770. “Quickbooks for Small Business” Hands-on computer training for beginners -- February 28, 2019, Thursday, 5:00pm-8:00pm, Maui County Business Resource Center, Maui Mall. Cost: $45. To register, call (808) 270-5770. U.S. Dept. of Labor and State of Hawaii Dept. of Labor Wage & Hour Requirements for Contractors and Subcontractors – March 6, 2019, Wednesday, 9:00am-12:00pm, Hawaii Dept. of Transportation, 869 Punchbowl Street, 5th floor conference room. To register, e-mail HDOT-DBE@hawaii.gov or for more information, call (808) 831-7913. This bulletin includes information, events, and activities that may be of interest to the Small Business community but should not be considered an endorsement of the views, opinions, products or services of any other person or entity. All SBA programs are extended to the public on a nondiscriminatory basis. For SBA sponsored events, reasonable arrangements for persons with disabilities will be made if requested at least two weeks in advance. Check Out SBA's Online Resources!